One of the most powerful breeds of horses would have to be the Percheron horses for sale. 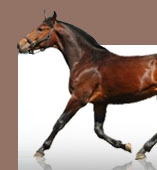 They are most well known for being the most powerful and rugged draft horses in the world. They come from the Perche Valley that is found in the northern end of France. The Percheron horses, like so many other old breeds, do not have an exact known origin. However, they are said to be a crossbred horse. They say that it was a cross between a Forest horse, that lives in northern Europe, and an Arabian horse. These are horses that were brought to that area of Europe by the Moors. As you can guess, Percherons are such big horses. Back in the Middle Ages they were used as battle mount horses. They stayed battle mounts for a long time in France. However, during the age of gunpowder, heavy warhorses were no longer needed. You need fast quick horses, and the Percherons are not that. So instead, these horses started to pull around the heavy French stagecoaches. Later on, railroads came about and the Percheron horses were no longer needed there anymore either. Thus, they were switched to doing heavy duty farm work and labor. To give you an idea of how big these horses are, normal horses stand about 15 or so hands high. The Percheron horses stand well above them at 19 hands high. They are used for pleasure riding (mostly among really big men), but they can also be used for logging. Yes, these horses are big enough to be logging horses. Besides that they are used in horse shows and, of course, draft horse showings. During this time, they are noted for their muscles and their big forearms. They have amazing balance, and they are overall nice horses. These horses are really big and can weigh up to 2,600 pounds each. Not only that, but for being such a big animal, they are very long lived horses as well. Some of them can live well over 25 years! The colors of these horses are nothing to get up in arms about. They are usually just a black or gray horse. There are a few that are chestnut, but that is pretty rare. Some of them will have markings on their feet and on their head, but that is pretty rare as well. DNA tests show that a very low parentage will ever have these markings, although all of them carry the trait for it. If you are looking for a horse that is going to blow you away and a horse that you can count on no matter what, then this is the horse for you. People love Percheron horses mostly because of their size. However, they are pretty nice animals if you give them a chance. These, of course, are not the idle horses for ladies to ride on or kids to ride on. They are way too big for both. Although women would have a better time riding on them than the kids would.